This is a guest blog by Julie Hutchison, Charities Specialist, Standard Life Wealth. 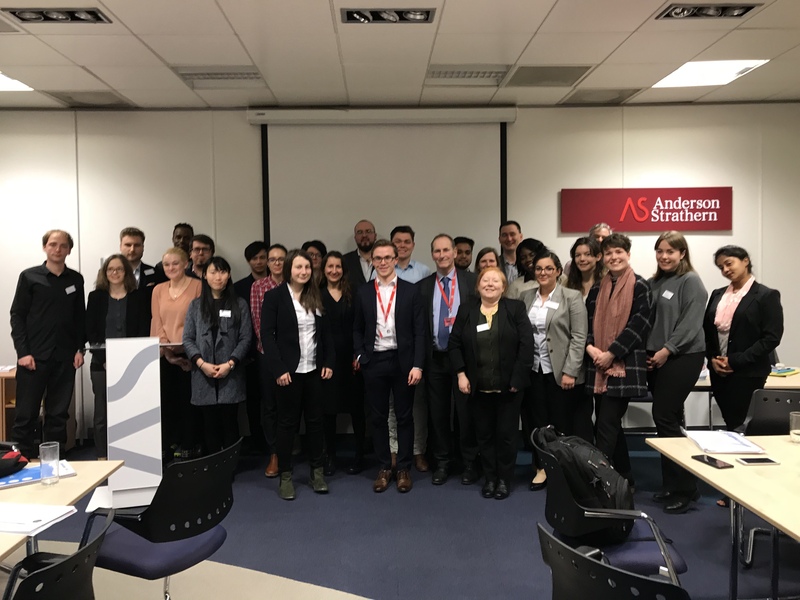 On 14th February 2018, RSM hosted an afternoon seminar in their Edinburgh offices, for the first cohort of Get on Board candidates from Edinburgh Napier University and the University of Edinburgh. 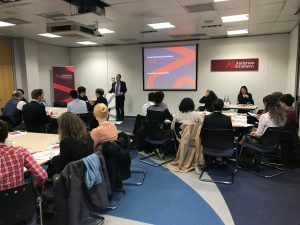 This blog summarises the topics covered, as a further reference point for those who attended on the day and a resource to support those who could not join the session. Victoria Simpson of Anderson Strathern began the seminar by going through the various charity trustee duties which apply in Scotland. This brings in the Charities and Trustee Investment (Scotland) Act 2005, and a good summary of what you need to know is contained in OSCR’s Guidance here. 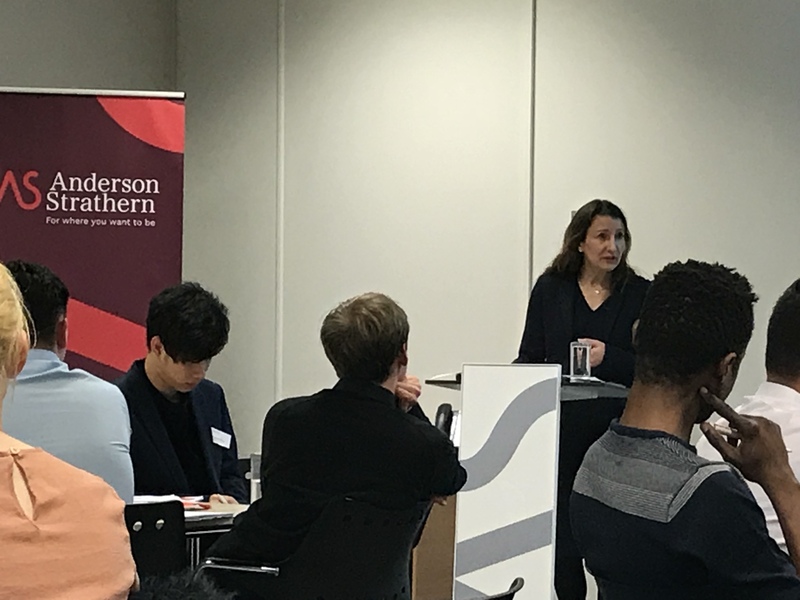 Victoria spoke about ‘conflict of interest’ situations, and the need for a trustee to declare an interest, and for this to be recorded in the Minutes and a Register of Interests. The key thing for a trustee is to put the interests of the charity first, and declare their personal interest in the matter concerned. It may be necessary for a trustee to not participate in part of a meeting where something is being discussed, should that be necessary in order to manage the conflicting interests. Moving onto the theme of charity accounts, Janet Hamblin of RSM ran through some of the financial points trustees need to be aware of. A Statement of Financial Activity was reviewed, looking at income and expenditure, and drawing out the difference between restricted funds (which must only be spent on certain things) and unrestricted funds (which are available to support general charity expenditure). Janet emphasised the need for good internal financial controls, and the need to monitor cashflow. From a charity investment perspective, I then gave an overview of why a charity might take the step of investing, moving from having cash only, to having a mixture of cash and investments. This tends to happen when a charity has built-up a large sum of cash and is looking for the opportunity to gain better returns over a long term timescale, accepting the ups and downs of the stockmarket in doing so. Ethical screening was introduced as a topic, to show how some charities avoid investing in certain sectors which conflict with their charitable purposes. 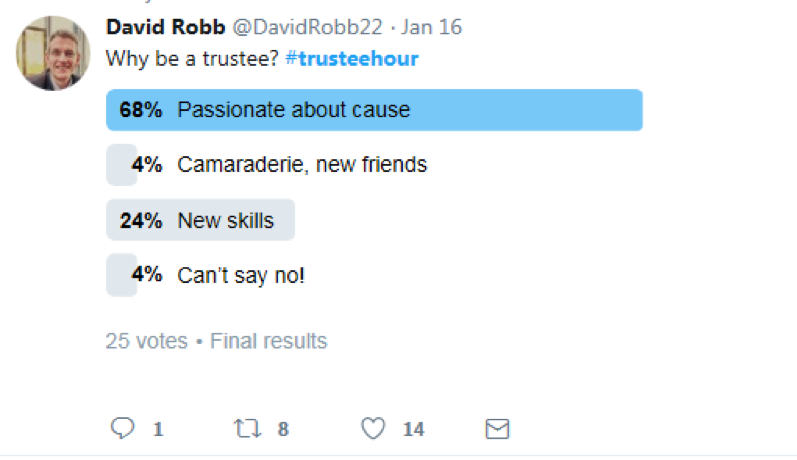 I mentioned #trusteehour as a means for the Get on Board participants to engage in an online community of trustees on twitter, to further develop their awareness and knowledge of charity sector issues. The final speaker was Elaine Crichton of Inspiring Scotland. Elaine looked at board dynamics and the kinds of behaviours encouraged around the board table. Key to this was the importance of asking questions as a trustee – and there’s no such thing as a daft question! Trustees can be positive ambassadors for their charity, and Elaine spoke positively about what younger trustees can bring to the role. The group dynamic was an important point, as trustees take decisions together on a collective basis. Being an active listener and respecting other viewpoints was also discussed. Finally, enthusiasm is valued! For more information about the Get on Board programme and the competency pathway associated with it, see this blog by Dr Miles Weaver of Edinburgh Napier University. Here is a link to a blog posted by Scott Semple (Director of Organisational Development at CHAS – Children’s Charity) who offers his thoughts on the ‘Leadership in Board Governance’ short course and his three tips for getting on board. Scott was a great to have around, so much experience and had so many thoughts on ‘good governance’. He also achieved a solid distinction! Yes. Join us for the Leadership in Board Governance short course starting in March? Are you board ready? How might a board position provide an opportunity to give back, grow and get ahead? Do you value diversity of thought and reflect on your contribution to good and effective governance? If the answer is ‘yes’, then why not join Edinburgh Napier University’s short course: Leadership in Board Governance (LiBG). The LiBG course provides a valuable opportunity for existing board members and senior staff to enhance their contribution to good and effective governance. The course includes four days of sessions between March and May. Provided by academic, practitioner and guest speakers including a board simulation, reflective practice and peer mentoring. The LiBG course is bought to you by the International Centre for Management and Governance Research (ICMGR). 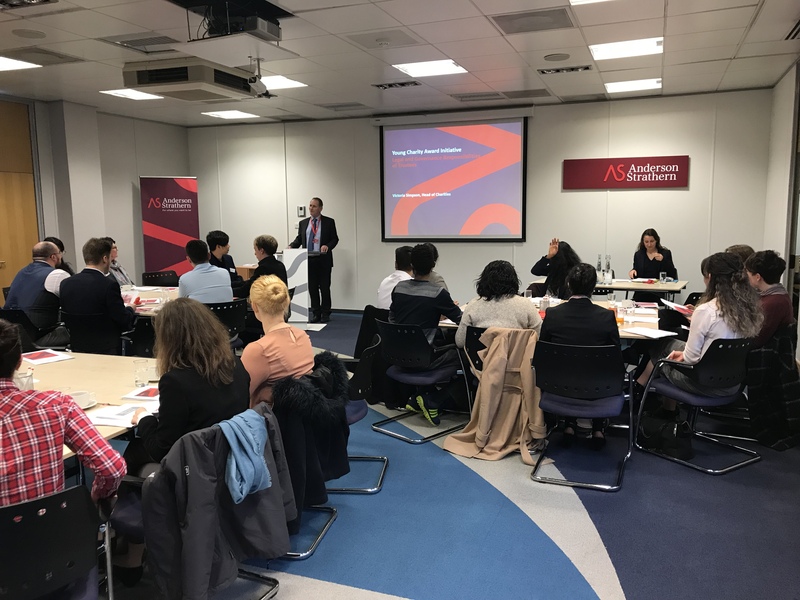 You can find out about a host of initiatives, events and research that we conduct in the area of leadership in board governance here. 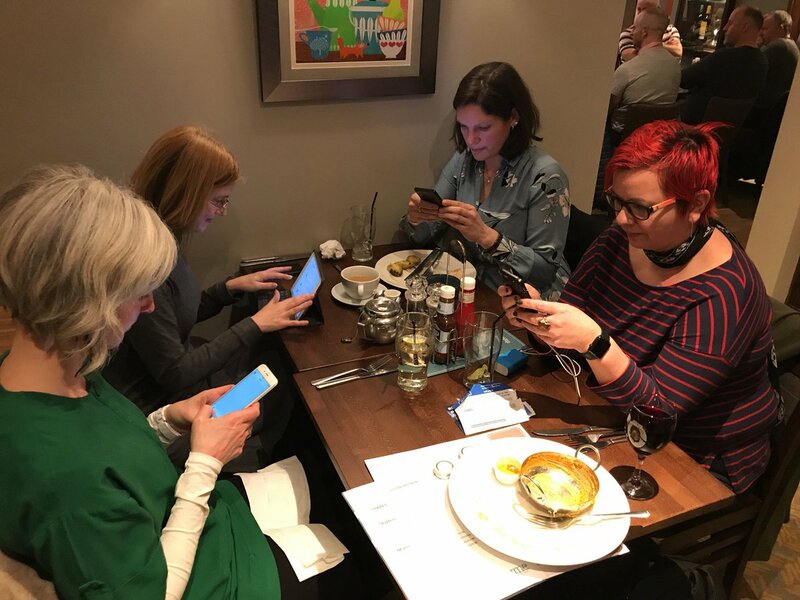 When @Weavermiles and I had the idea to facilitate a twitter platform for charity trustees and try this during Trustees’ Week, we didn’t know what to expect. 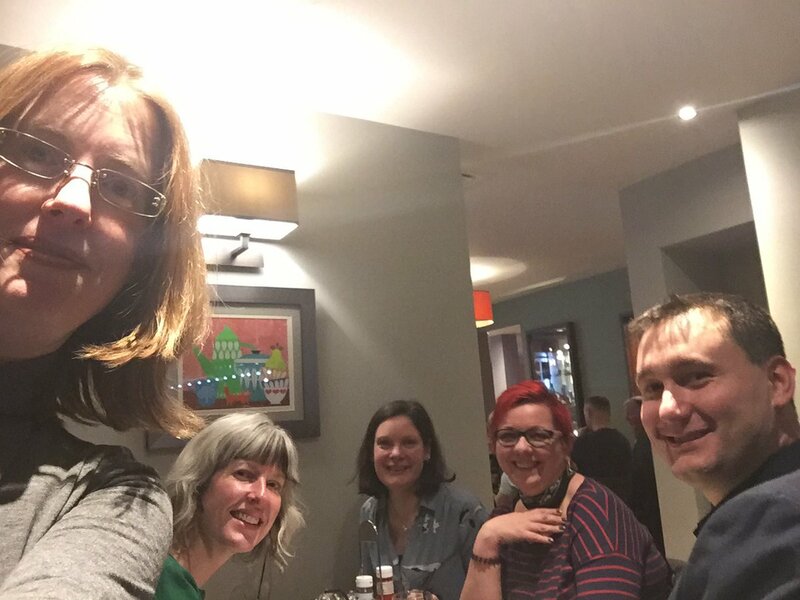 Would we spend the hour replying to each other’s tweets, with no-one else joining the @trusteehour conversation? Soon after 8pm on 15th November, it was clear we needn’t have worried. It was great to watch the themes develop, with the main limitation being how quickly my laptop would refresh after multiple notifications. 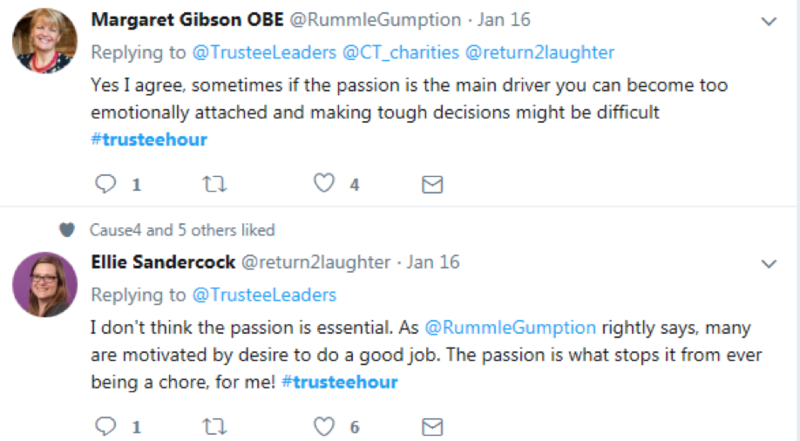 It’s worth going back to look again at the #trusteehour thread, as the volume of posts in that hour meant it was impossible to get a full appreciation of the range of comments and weblinks being shared in real time. This blog will shed light on neglected gems you may have missed and shares weblinks from the thread as further resources. It’s also another way to share the contributions with a wider audience. There was a spike of almost 5,000 impressions/views of tweets around the first #trusteehour, with contributors from Saudi Arabia (hi @JohnLoughton! ), Northern Ireland, Cumbria, Wales, a cluster of contributors in Edinburgh and Glasgow and points south too. 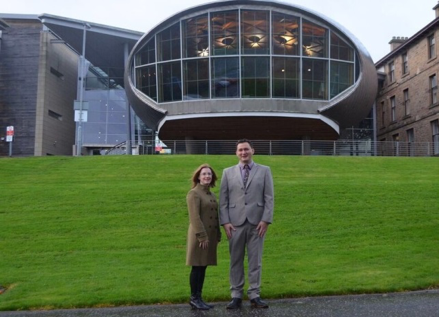 Student union trustees – a reminder this is an example of young trusteeship in action. Is the message right? Is the concept of altruism a strong enough ‘pull’ factor? Language could be a barrier. Is the word “volunteer” more meaningful than “trustee”? There was some good advocacy from charity CEOs and vice-chairs with boards that already include younger trustees; positive to see. A shout out to @lauradavies24 @IMcLaughlan and @Louisemac for contributing. Recruitment methods act as a barrier, if word-of-mouth perpetuates ‘more of the same’ around the boardtable. Timing of meetings acts as a barrier: holding board meetings outside working hours may make participation easier. Employers could be enablers: volunteering leave was mentioned as a helpful factor.